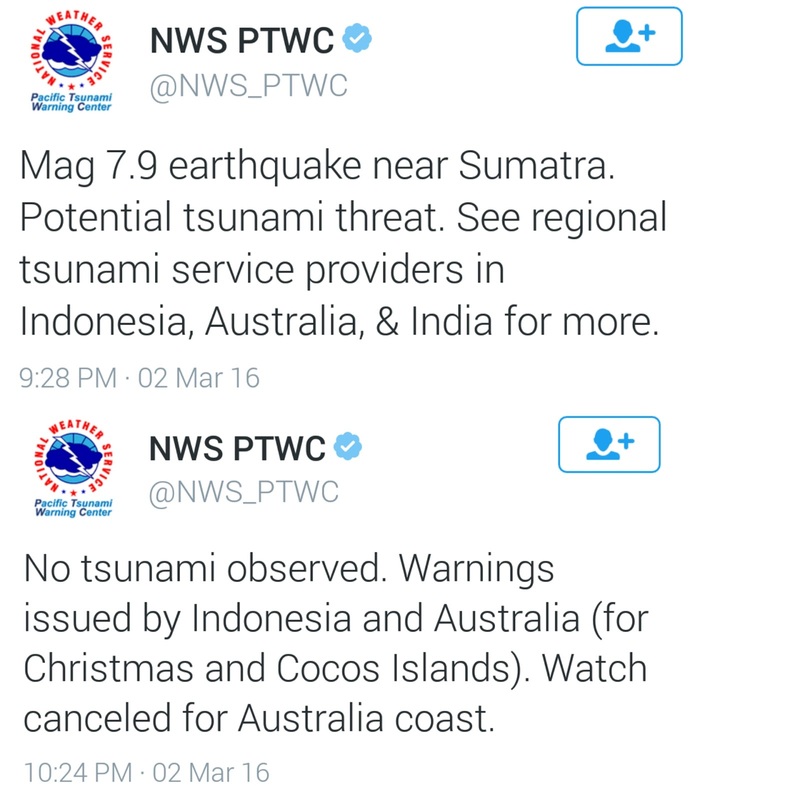 Home AROUND THE WORLD EARTHQUAKE Sumatra, Indonesia Earthquake today at magnitude 7.8, tsunami warning issued! 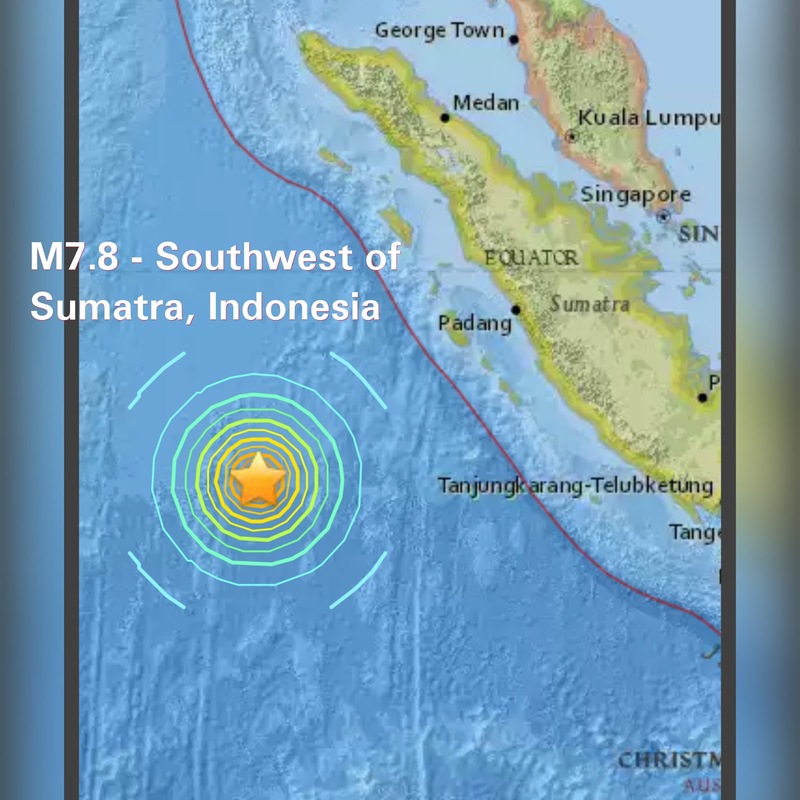 Sumatra, Indonesia Earthquake today at magnitude 7.8, tsunami warning issued! Sumatra, Indonesia earthquake today, March 2, 2016, was measured at magnitude 7.8 by the US Geological Survey (USGS). The strong earthquake with epicenter located southwest of Sumatra, Indonesia occurred around 9 this evening. The quake was initially measured at magnitude 8.2, but was later lowered to 7.8. 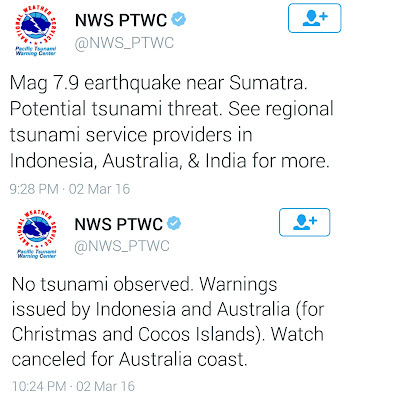 A tweet by the Pacific Warning Center alerted people in Indonesia and Australia for possible tsunami. But after 45 minutes, it said that no tsunami was observed. Awaiting official reports from Indonesia, and I hope everybody is safe. The Sumatra earthquake takes place just 9 days before the 5th anniversary of the magnitude 8.9 earthquake and tsunami that devastated Japan in 2011, and more than 11 years after the magnitude 9.1 Indian Ocean Earthquake in December of 2014 which also hugely affected Indonesia.